BombayJules: Meet our new family members! Mr Jules had previously put his foot down about getting a pet. No dogs and no cats allowed in our home! But he's right in his outlook. As an expat you have to think very carefully indeed about adopting the many street cats and dogs that need a home in Mumbai (or even so-called 'pedigree' animals). Bringing your own pets from abroad is also a minefield. Already, we have had to find loving families to foster our two cats back in the UK. We decided it wouldn't be appropriate to transport them out here. One of them would probably not survive the journey due to being so old and jittery. And they are also outdoor cats - here in Mumbai we would have to keep them locked in our high-up apartment with stinky litter trays. It was a quality of life that I did not want for them - and they would probably also fry in this heat! 1) Where and how would you walk a dog? Bandra pavements are notoriously bad and there is a huge lack of green space. Plus it's usually just too hot to get into a good long walk with a dog. We could get a dog-walker but what's the point in that? 2) What would you eventually do about taking them back home to the UK? There is bound to be a barrage of bureaucracy, paperwork, transport issues and possibly a heart-breaking quarantine period at the end of it all. 3) We travel extensively - what happens in our absence? Can we rely on others to look after our pet as we would? In fact, the list of concerns is endless - and we came to the conclusion that having a pet in Mumbai would be a far too onerous commitment that would attract too many problems. 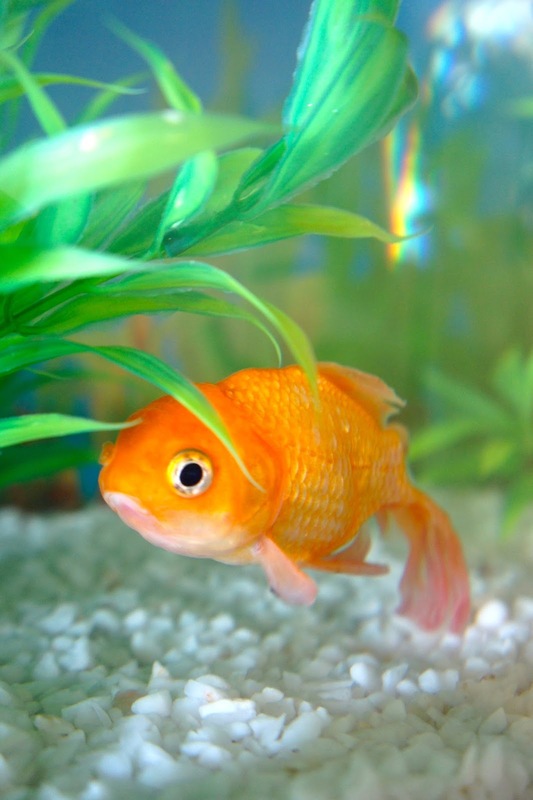 However, when a recent opportunity to adopt a goldfish presented itself, permission was granted by Mr Jules! A lady in our expat network was leaving to go on to Malaysia with her family and she needed someone to take over the care of 'Fishy'. I jumped in and volunteered straight away for this huge undertaking. 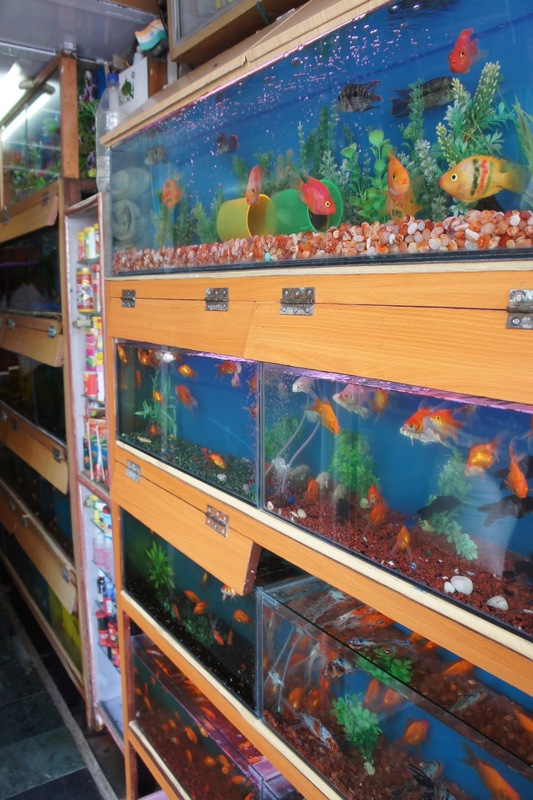 Having fish seemed like a good pet solution in Mumbai - easy and cheap to look after, zero vets bills and Reetha would be able to feed them when we are out of town. And I was kind of happy to forgo sloppy wet dog kisses or having our furniture ripped up by feline talons. 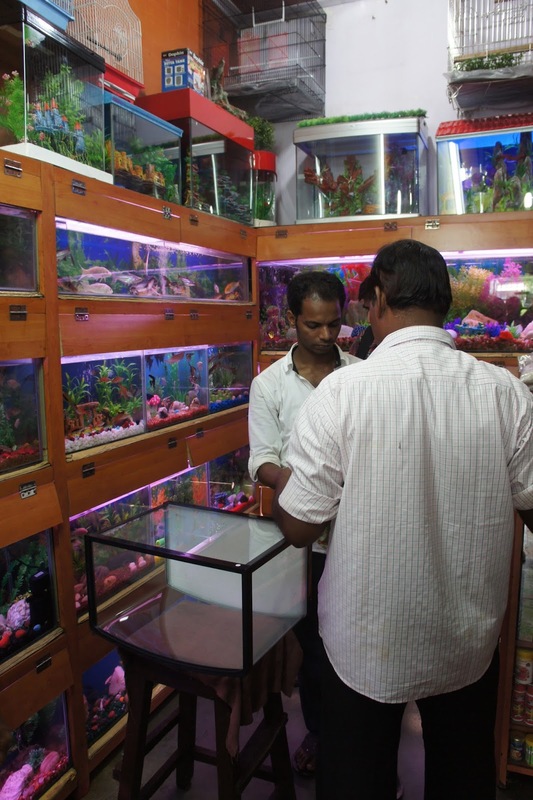 Our driver - himself the keeper of 30 tropical fish, helps us select a tank. So last Saturday was spent selecting the best fish tank we could find (a Made-in-China glass and plastic monstrosity) and then filling it with water and getting it to the right temperature in readiness for our new family member. 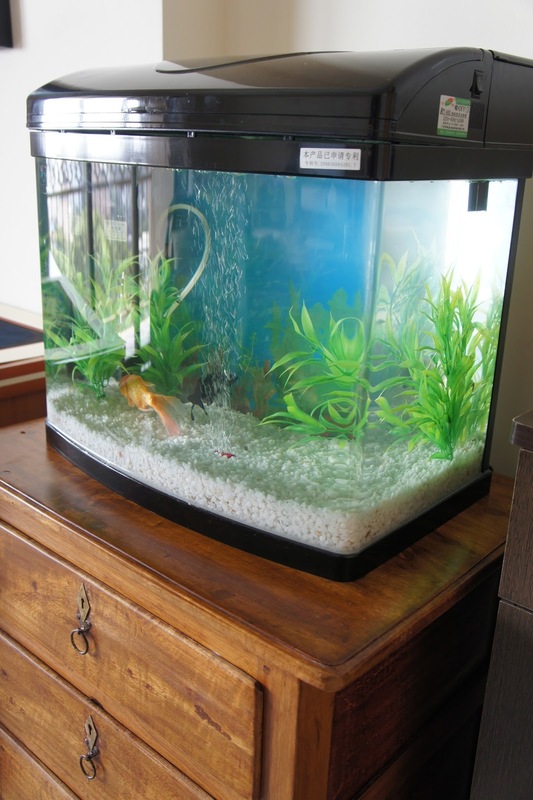 Fish tanks are usually aesthetically displeasing - this one is no exception but the fish are happy at least! 'Fishy' (as he is currently called) arrived in a plastic container yesterday and seemed pretty laid back about the transition to his new home. But this morning - sitting on the bottom of the tank, he looked very sad and lonely on his own. So this afternoon, I went back to the shop where we got the fish tank to find him a friend. 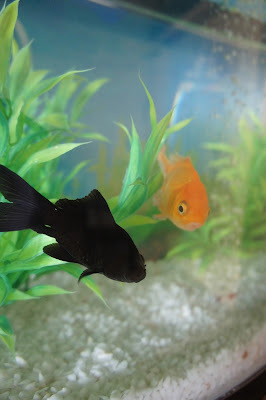 I took a shine to a contrasting black goldfish with bulging eyes which has since been added to the tank. 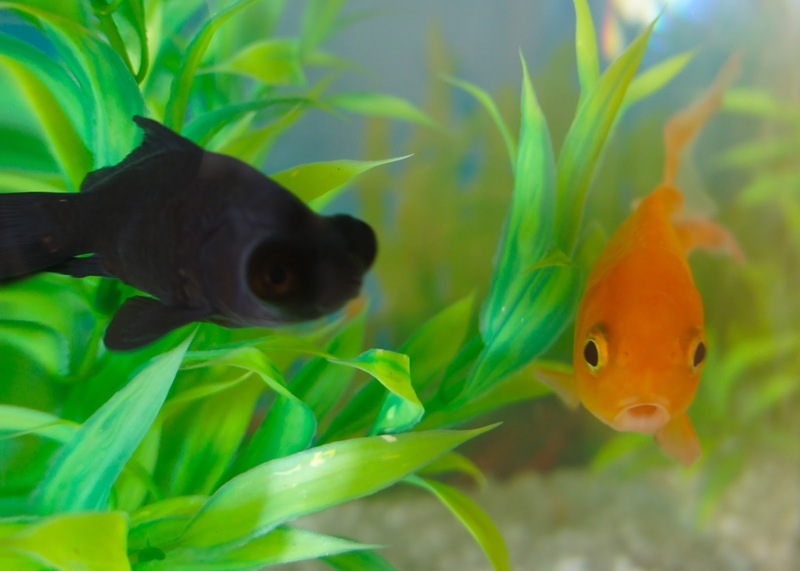 So far, they seem to be getting on quite well and 'Fishy' has well and truly perked up - chasing 'Blacky' around the tank and asserting his 'I-got-here-first' dominance. The next task is to give them both names. I have in mind something in Hindi or related to Hindu religion - surely there are fish-headed gods or sea creatures that I can name them after. Do any of my readers have any suggestions? 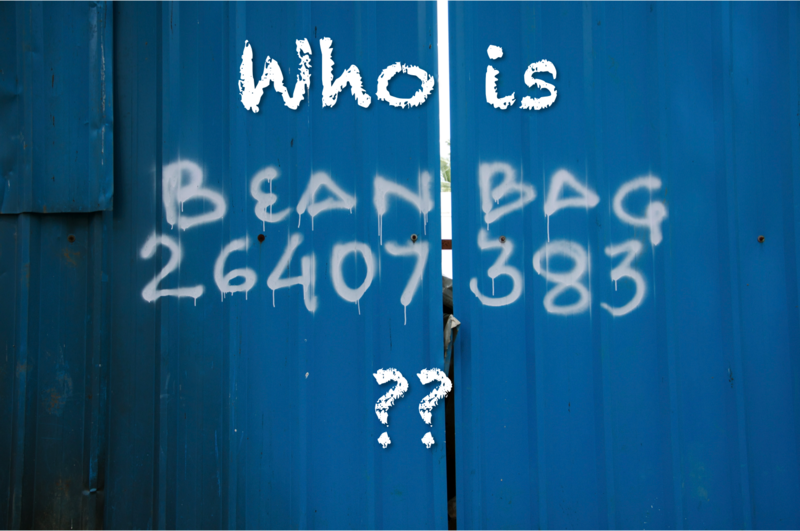 Please leave names in the comments section or on the BombayJules Facebook Page....and I will let you know of the outcome at a later date! I am quite impressed by the little shop - it sells absolutely everything you should need to keep your fish in good health. Lots of small fish available to buy. 26A Baubhoy Mansion, 170A SV Road, Opposite Jain Chamber, Bandra West. A fine figure of a fish! Thanks Jahnavi...great suggestions! Will think about it for a week and reply again with the names. Thanks so much for passing by. Thanks Sassy. Hopefully the tank is small enough that we can manage it ourselves but will definitely let you know if not as it's a mucky job!